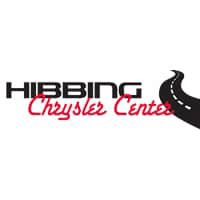 Guaranteed Credit Approval at Hibbing Chrysler Center! If you have no credit, bruised or bad credit Hibbing Chrysler Center has auto loan solution for you! Are you tired of getting turned down for an auto loan? Need a second chance? Looking for a reliable car but have credit challenges? Have you had bankruptcies, repossessions, foreclosures, collections, liens, and other credit problems? We can approve you for financing on a car, truck, mini-van or SUV. We know bad things happen to good people all the time and we treat everyone with respect, exactly the way we would want to be treated! Making on-time payments is critical to establishing or improving your credit score! Let us approve you for an auto loan and get you on the road to improving your credit today! Get started by completing our secure online credit application here.